Emerging Technologies, Medical Devices, Apps, Sensors, and Informatics to Help People with Diabetes. (Toronto, Jul 16th, 2018) We are pleased to report that JMIR Diabetes (JD) has been accepted for indexing in PubMed Central and PubMed. The acceptance is the result of a rigorous scientific and technical evaluation by the US National Library's (NLM’s) Library Operations Division, which decided that the scientific and editorial character and quality of a JMIR Diabetes merits its inclusion in PMC. In making this decision NLM has considered the suitability of the journal for the NLM collection as well as the opinions of expert consultants. JMIR Diabetes is the 14th journal of JMIR Publications accepted for PMC/Pubmed. Other journal titles published by JMIR Publications can be found in our Knowledge Base. JMIR Diabetes (JD, Editor-in-Chief: Caroline Richardson) is a Pubmed-indexed sister journal of JMIR (the leading open-access journal in health informatics (Impact Factor 2017: 4.671). JMIR Diabetes focuses on technologies, medical devices, apps, engineering, informatics and patient education for diabetes prevention, self-management, care, and cure, to help people with diabetes. As open access journal JD is read by clinicians and patients alike and have (as all JMIR journals) a focus on readable and applied science reporting the design and evaluation of health innovations and emerging technologies, as well as on diabetes prevention and epidemiology. We publish original research, viewpoints, and reviews (both literature reviews and medical device/technology/app reviews) covering for example wearable devices and trackers, mobile apps, glucose monitoring (including emerging technologies such as Google contact lens), medical devices for insulin and metabolic peptide delivery, closed loop systems and artificial pancreas, telemedicine, web-based diabetes education and elearning, innovations for patient self-management and "quantified self", diabetes-specific EHR improvements, clinical or consumer-focused software, diabetes epidemiology and surveillance, crowdsourcing and quantified self-based research data, new sensors and actuators to be applied to diabetes. Background: Mobile phones have been actively used in various ways for diabetes self-care. Mobile phone apps can manage lifestyle factors such as diet, exercise, and medication without time or place restrictions. A systematic review has found these apps to be effective in reducing blood glucose. However, the existing apps were developed and evaluated without a theoretical framework to explain the process of changes in diabetes self-care behaviors. Objective: This study aimed to evaluate the diabetes self-care app that we developed by measuring differences in diabetes self-care factors between before and after using the app with the Information-Motivation-Behavioral skills model of Diabetes Self-Care (IMB-DSC). Methods: We conducted a single-group pre- and postintervention study with a convenience sample of diabetes patients. A total of 38 adult patients with diabetes who had an Android smartphone were recruited. After conducting a preliminary survey of those who agreed to participate in the study, we provided them with a manual and a tutorial video about the diabetes self-care app. 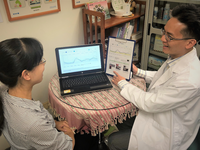 The app has functions for education, recommendations, writing a diary, recording, goal setting, sharing, communication, feedback, and interfacing with a glucometer, and it was applied for 4 weeks. 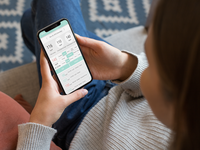 We measured the general characteristics of participants, their history of diabetes self-care app usage, IMB-DSC factors, and blood glucose levels. The IMB-DSC factors of information, personal motivation, social motivation, behavioral skills, and behaviors were measured using an assessment tool consisting of 87 items extracted from the Diabetes Knowledge Test, third version of the Diabetes Attitude Scale, Diabetes Family Behavior Checklist, and Diabetes Self-Management Assessment Report Tool. Results: The mean age of the participants was 43.87 years. A total 30 participants out of 38 (79%) had type 2 diabetes and 8 participants (21%) had type 1 diabetes. The most frequently used app function was recording, which was used by 34 participants out of 38 (89%). Diabetes self-care behaviors (P=.02) and diabetes self-care social motivation (P=.05) differed significantly between pre- and postintervention, but there was no significant difference in diabetes self-care information (P=.85), diabetes self-care personal motivation (P=.57), or diabetes self-care behavioral skills (P=.89) between before and after using the diabetes self-care app. Conclusions: Diabetes self-care social motivation was significantly improved with our diabetes self-care app by sharing experiences and sympathizing with other diabetes patients. 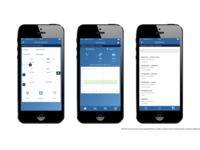 Diabetes self-care behavior was also significantly improved with the diabetes self-care app by providing an interface with a glucometer that removes the effort of manual input. Diabetes self-care information, diabetes self-care personal motivation, and diabetes self-care behavioral skills were not significantly improved. However, they will be improved with additional offline interventions such as reflective listening and simulation. Background: To reach all 84.1 million US adults estimated to have prediabetes warrants need for low-cost and less burdensome alternatives to the National Diabetes Prevention Program (NDPP). In a previous randomized controlled trial, we demonstrated the efficacy of a 12-month short message service text message support program called SMS4PreDM amongst individuals with prediabetes. Objective: The study aimed to evaluate the implementation and effectiveness of SMS4PreDM in a pragmatic study following dissemination in a safety net health care system. Methods: English- and Spanish-speaking patients at risk for diabetes (eg, glycated hemoglobin 5.7-6.4) were referred by their providers and offered either NDPP classes, SMS4PreDM, or both. This analysis focuses on weight change among 285 SMS4PreDM-only participants who began the year-long intervention between October 2015 and April 2017 with accompanying pre- and postweights, as compared with 1233 usual-care control patients at risk for diabetes, who were identified from electronic health records during this time but not referred. Weight outcomes included time-related mean weight change and frequency of either ≥3% weight loss or gain. Mixed linear models adjusted for age, gender, race, ethnicity, preferred language, and baseline weight. A secondary analysis was stratified by language. We also assessed implementation factors, including retention and cost. Results: SMS4PreDM participants had high retention (259 of 285 patients or 91.0% completion at 12-months, ) and a time-related mean weight loss of 1.3 pounds (SE 0.74), compared with the control group’s slight mean weight gain of 0.25 pounds (SE 0.59; P=.004). Spanish-speaking SMS4PreDM participants (n=130) had a time-related mean weight loss of 1.11 pounds (SE 1.22) compared with weight gain of 0.96 pounds (SE 1.14) in Spanish-speaking controls (n=382, P<.001). English-speaking intervention participants (n=155) had a comparable time-related mean weight change (–0.89 pounds; SE 0.93) as English-speaking controls (n=828; 0.31 pounds gained; SE 0.62, P=.14). Overall, frequency of achieving ≥3% weight loss was comparable between groups (54 of 285 or 19.0% of SMS4PreDM participants [95% CI 14.8-23.9] vs 266 of 1233 or 21.6% of controls [95% CI 19.3-24.0]; P=.33). Nonetheless, more controls had ≥3% weight gain compared with intervention participants (337 of 1233 or 27.3% of controls [95% CI 24.9-29.9] vs 57 of 285 or 20.0% of SMS4PreDM participants [95% CI 16.8-25.1]; P=.01). SMS4PreDM delivery costs were US $100.92 per participant. Conclusions: Although SMS4PreDM was relatively low cost to deliver and demonstrated high retention, weight loss outcomes may not be sufficient to serve as a population health strategy. Background: Of the estimated 23.1 million individuals diagnosed with diabetes, approximately 5% have type 1 diabetes (T1D). It has been proposed that this number will triple by 2050. With increases in technology use and resources available, many individuals are using insulin pumps and continuous glucose monitors (CGMs) to help manage their T1D. They are also using online resources such as social media to find more information and advice based on real-life experiences from peers. 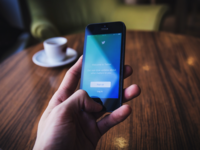 Blogs are a particular social media modality often used by people with T1D but have not been widely investigated. Objective: The purpose of this study was to assess glycated hemoglobin (HbA1c) differences between blog readers and blog nonusers in a population of adults with T1D. This study also looked at differences in technology use in these two groups, as well as HbA1c differences in blog use and technology subgroups. Methods: Participants were recruited both by mail and by online T1D-themed blog postings. 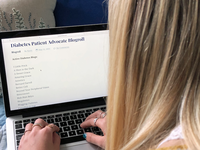 Respondents completed a secure online eligibility assessment and were asked questions related to their T1D, blog and internet use, and insulin pump and CGM use. Demographics were also collected. Differences between blog readers and blog nonusers were tested via chi-square and t tests. Mann-Whitney U tests, Fisher exact tests, and analyses of variance (ANOVA) were used to test for differences in self-reported HbA1c between groups and subgroups. Results: A total of 282 eligible participants completed the survey (214 blog readers, 68 blog nonusers). Average duration of diabetes was 21.2 years, 77.7% (219/282) were female, 81.2% (229/282) used an insulin pump, 66.3% (187/282) used a CGM, and 95.7% (270/282) were white. HbA1c was lower for blog readers (7.0%) than blog nonusers (7.5%), P=.006; for insulin pump users (7.0%) than multiple daily injections (7.7%), P=.001; and for CGM users (7.0%) than CGM nonusers (7.5%), P=.001. After adjusting for significant covariates, the association between blog use and HbA1c remained significant (P=.04). ANOVA modeling also demonstrated significant differences in HbA1c between blog users and nonusers among subgroups by pump use and CGM use (P<.001). Conclusions: These results suggest that reading blogs is associated with lower HbA1c values. While association does not prove causation, blog readers have the benefit of learning information from peers and having 24/7 access to a community of individuals with similar daily life struggles, where they are able to ask questions and seek advice. Background: To achieve clarity on mobile health’s (mHealth’s) potential in the diabetes context, it is necessary to understand potential users’ needs and expectations, as well as the factors determining their mHealth use. Recently, a few studies have examined the user perspective in the mHealth context, but their explanatory value is constrained because of their limitation to adoption factors. Objective: This paper uses the mobile phone appropriation model to examine how individuals with type 1 or type 2 diabetes integrate mobile technology into their everyday self-management. The study advances the field beyond mere usage metrics or the simple dichotomy of adoption versus rejection. Methods: Data were gathered in 2 qualitative studies in Singapore and Germany, with 21 and 16 respondents, respectively. Conducting semistructured interviews, we asked respondents about their explicit use of diabetes-related apps, their general use of varied mobile technologies to manage their disease, and their daily practices of self-management. Results: The analysis revealed that although some individuals with diabetes used dedicated diabetes apps, most used tools across the entire mobile-media spectrum, including lifestyle and messaging apps, traditional health information websites and forums. The material indicated general barriers to usage, including financial, technical, and temporal restrictions. Conclusions: In sum, we find that use patterns differ regarding users’ evaluations, expectancies, and appropriation styles, which might explain the inconclusive picture of effects studies in the diabetes mHealth context. Background: Engagement in self-care behaviors that are essential to optimize diabetes care is challenging for many patients with diabetes. mHealth interventions have been shown to be effective in improving health care outcomes in diabetes. However, more research is needed on patient perceptions to support these interventions, especially in resource settings in low- and middle-income countries. Objective: The goal of the research was to explore perceptions and acceptability of a short message service (SMS) text messaging intervention for diabetes care in underserved people with diabetes in Argentina. Methods: A qualitative exploratory methodology was adopted as part of the evaluation of a program to strengthen diabetes services in primary care clinics located in low-resource settings. The diabetes program included a text messaging intervention for people with diabetes. A total of 24 semistructured telephone interviews were conducted with people with diabetes. Results: Twenty-four middle-aged persons with diabetes were interviewed. Acceptability was considered adequate in terms of its actual use, frequency, and the role of texts as a reminder. We found that text messages could be a mediating device in the patient’s learning processes. Also, being exposed to the texts seemed to help bring about changes in risk perception and care practices and to function as psychosocial support. Another relevant finding was the role of text messaging as a potential facilitator in diabetes care. In this sense, we observed a strong association between receiving text messages and having a better patient-physician relationship. Additionally, social barriers that affect diabetes care such as socioeconomic and psychosocial vulnerability were identified. Conclusions: Our findings show positive contributions of a text messaging intervention for the care of people with diabetes. We consider that an SMS strategy has potential to be replicated in other contexts. However, further studies are needed to explore its sustainability and long-term impact from the perspective of patients. Background: Internet and mobile interventions aiming to promote healthy lifestyle have attracted much attention because of their scalability and accessibility, low costs, privacy and user control, potential for use in real-life settings, as well as opportunities for real-time modifications and interactive advices. A real-life electronic health (eHealth) lifestyle coaching intervention was implemented in 8 Danish municipalities between summer 2016 and summer 2018. Objective: The aim of this study was to assess the effects associated with the eHealth intervention among diabetes patients in a real-life municipal setting. 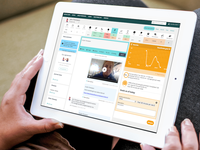 The eHealth intervention is based on an initial meeting, establishing a strong empathic relationship, followed by digital lifestyle coaching and collaboration supported by a Web-based community among patients. Methods: We conducted an observational study examining the effect of an eHealth intervention on self-reported weight change among 103 obese diabetes patients in a real-life municipal setting. The patients in the study participated in the eHealth intervention between 3 and 12 months. A weight change was observed at 6, 9, and 12 months. We used regression methods to estimate the impacts of the intervention on weight change. Results: We found that the eHealth intervention significantly reduced weight among diabetes patients, on average 4.3% of the initial body mass, which corresponds to 4.8 kg over a mean period of 7.3 months. 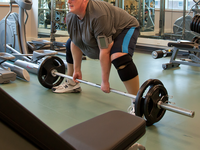 Patients who were in intervention for more than 9 months achieved a weight reduction of 6.3% or 6.8 kg. Conclusions: This study brings forward evidence of a positive effect of a real-life eHealth lifestyle intervention on diabetes patients’ lifestyle in a municipal setting. Future research is needed to show if the effect is sustainable from a long-term perspective. Background: Continuous glucose monitoring (CGM) uses subcutaneous sensors and records the average interstitial sensor current every 5 min in the recorder; data are subsequently exported to a computer 4 to 7 days later when calibration with self-measured blood glucose is made retrospectively. How middle-aged and older patients perceive the added technology intervention is not clear. Objective: The study aimed to understand the factors associated with the adoption of new technology in diabetes care, to understand the feelings and behaviors while using it, and to determine the changes in attitudes and behavior after completing the use of the new technology at the 3-month follow-up. Methods: Middle-aged and older type 2 diabetes patients who had received professional continuous glucose monitoring (iPro 2 [Medtronic]) were invited for semistructured in-depth interviews on the day of the CGM sensor removal and at 3 months after CGM-based counseling. A phenomenography approach was used to analyze the interview data. Results: A total of 20 type 2 diabetes patients (aged 53 to 72 years, 13 males and 7 females, 4 to 40 years duration of diabetes, mean glycated hemoglobin 8.54% [SD 0.71%]) completed 2 sections of semistructured in-depth interviews. Physician guidance and participant motivation toward problem solving were found to be factors associated with adoption of the device. Participants indicated that technology can be a reminder, a supervisor, and a visualizer of blood glucose, all of which are helpful for disease management. However, CGM is somewhat inconvenient, and some participants also reported that the provision of this new technology might be a hint of disease progression. There was a higher percentage of women compared with men who reported that CGM can be a reminder or a supervisor to help them with diet control. Conclusions: Physician guidance and participants’ degree of motivation are keys to adopting new technology in the case of middle-aged and older adults. Although the CGM sensor may cause inconvenience to patients on their limited body movement when wearing the device, it is helpful for diet control and is an effective behavioral modification tool that offers support, especially in the case of women. Background: Widespread metaphors contribute to the public’s understanding of health. Prior work has characterized the metaphors used to describe cancer and AIDS. Less is known about the metaphors characterizing cardiovascular disease. Objective: The objective of our study was to characterize the metaphors that Twitter users employ in discussing hypertension and diabetes. Methods: We filtered approximately 10 billion tweets for keywords related to diabetes and hypertension. We coded a random subset of 5000 tweets for the presence of metaphor and the type of metaphor employed. Results: Among the 5000 tweets, we identified 797 (15.9%) about hypertension or diabetes that employed metaphors. When discussing the development of heart disease, Twitter users described the disease as a journey (n=202), as transmittable (n=116), as an object (n=49), or as being person-like (n=15). In discussing the experience of these diseases, some Twitter users employed war metaphors (n=101). Other users described the challenge to control their disease (n=34), the disease as an agent (n=58), or their bodies as machines (n=205). Conclusions: Metaphors are used frequently by Twitter users in their discussion of hypertension and diabetes. These metaphors can help to guide communication between patients and providers to improve public health. Background: Management of type 1 diabetes (T1D) among children aged <6 years is exceptionally challenging for parents and caregivers. Metabolic and psychosocial outcomes among very young children with T1D (YC-T1D) are tightly associated with their parents’ ability to meet these challenges. There is scant research testing interventions targeting these issues and few resources to equip health care providers with feasible and effective coping strategies for these parents. 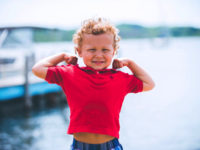 User-centered design (UCD) of a continuously accessible Web-based resource could be a mechanism for helping parents of YC-T1D cope more effectively with the complex challenges they face by providing them with information, solutions, and emotional support. Objective: The objectives of this paper are to (1) describe the application of UCD principles to the development of a Web-based coping intervention designed by and for parents of very young children (<6 years old) with T1D; (2) illustrate the use of crowdsourcing methods in obtaining the perspectives of parents, health care providers, and Web development professionals in designing and creating this resource; and (3) summarize the design of an ongoing randomized controlled trial (RCT) that is evaluating the effects of parental access to this resource on pertinent child and parent outcomes. Methods: This paper illustrates the application of UCD principles to create a Web-based coping resource designed by and for parents of YC-T1D. A Web-based Parent Crowd, a Health Care Provider Crowd, and a Focus Group of minority parents provided input throughout the design process. A formal usability testing session and design webinars yielded additional stakeholder input to further refine the end product. Results: This paper describes the completed website and the ongoing RCT to evaluate the effects of using this Web-based resource on pertinent parent and child outcomes. Conclusions: UCD principles and the targeted application of crowdsourcing methods provided the foundation for the development, construction, and evaluation of a continuously accessible, archived, user-responsive coping resource designed by and for parents of YC-T1D. The process described here could be a template for the development of similar resources for other special populations that are enduring specific medical or psychosocial distress. The ongoing RCT is the final step in the UCD process and is designed to validate its merits. Background: Digital health is increasingly recognized as a cost-effective means to support patient self-care. However, there are concerns about whether the “digital divide,” defined as the gap between those who do and do not make regular use of digital technologies, will lead to increased health inequalities. Access to the internet, computer literacy, motivation to use digital health interventions, and fears about internet security are barriers to use of digital health interventions. Some of these barriers disproportionately affect people of older age, black or minority ethnic background, and low socioeconomic status. 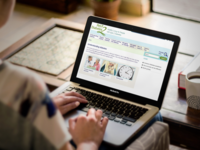 HeLP-Diabetes (Healthy Living for People with type 2 Diabetes), a theoretically informed online self-management program for adults with type 2 diabetes, was developed to meet the needs of people from a broad demographic background. Objective: This study aimed to determine whether there was evidence of a digital divide when HeLP-Diabetes was integrated into routine care. This was achieved by (1) comparing the characteristics of people who registered for the program against the target population (people with type 2 diabetes in inner London), (2) comparing the characteristics of people who registered for the program and used it with those who did not use it, and (3) comparing sections of the website visited by different demographic groups. Methods: A retrospective analysis of data on the use of HeLP-Diabetes in routine clinical practice in 4 inner London clinical commissioning groups was undertaken. Data were collected from patients who registered for the program as part of routine health services.. Data on gender, age, ethnicity, and educational attainment were collected at registration, and data on webpage visits (user identification number, date, time, and page visited) were collected automatically by software on the server side of the website. Results: The characteristics of people who registered for the program were found to reflect those of the target population. The mean age was 58.4 years (SD=28.0), over 50.0% were from black and minority ethnic backgrounds, and nearly a third (29.8%) had no qualifications beyond school leaving age. There was no association between demographic characteristics and use of the program, apart from weak evidence of less use by the mixed ethnicity group. There was no evidence of the differential use of the program by any demographic group, apart from weak evidence for people with degrees and school leavers being more likely to use the “Living and working with diabetes” (P=.03) and “Treating diabetes” (P=.04) sections of the website. Conclusions: This study is one of the first to provide evidence that a digital health intervention can be integrated into routine health services without widening health inequalities. The relative success of the intervention may be attributed to integration into routine health care, and careful design with extensive user input and consideration of literacy levels. Developers of digital health interventions need to acknowledge barriers to access and use, and collect data on the demographic profile of users, to address inequalities. Background: A 75-g oral glucose tolerance test (OGTT) provides important information about glucose metabolism, although the test is expensive and invasive. Complete OGTT information, such as 1-hour and 2-hour postloading plasma glucose and immunoreactive insulin levels, may be useful for predicting the future risk of diabetes or glucose metabolism disorders (GMD), which includes both diabetes and prediabetes. Objective: We trained several classification models for predicting the risk of developing diabetes or GMD using data from thousands of OGTTs and a machine learning technique (XGBoost). The receiver operating characteristic (ROC) curves and their area under the curve (AUC) values for the trained classification models are reported, along with the sensitivity and specificity determined by the cutoff values of the Youden index. We compared the performance of the machine learning techniques with logistic regressions (LR), which are traditionally used in medical research studies. Methods: Data were collected from subjects who underwent multiple OGTTs during comprehensive check-up medical examinations conducted at a single facility in Tokyo, Japan, from May 2006 to April 2017. For each examination, a subject was diagnosed with diabetes or prediabetes according to the American Diabetes Association guidelines. Given the data, 2 studies were conducted: predicting the risk of developing diabetes (study 1) or GMD (study 2). For each study, to apply supervised machine learning methods, the required label data was prepared. If a subject was diagnosed with diabetes or GMD at least once during the period, then that subject’s data obtained in previous trials were classified into the risk group (y=1). After data processing, 13,581 and 6760 OGTTs were analyzed for study 1 and study 2, respectively. For each study, a randomly chosen subset representing 80% of the data was used for training 9 classification models and the remaining 20% was used for evaluating the models. Three classification models, A to C, used XGBoost with various input variables, some including OGTT data. The other 6 classification models, D to I, used LR for comparison. Results: For study 1, the AUC values ranged from 0.78 to 0.93. For study 2, the AUC values ranged from 0.63 to 0.78. The machine learning approach using XGBoost showed better performance compared with traditional LR methods. The AUC values increased when the full OGTT variables were included. In our analysis using a particular setting of input variables, XGBoost showed that the OGTT variables were more important than fasting plasma glucose or glycated hemoglobin. Conclusions: A machine learning approach, XGBoost, showed better prediction accuracy compared with LR, suggesting that advanced machine learning methods are useful for detecting the early signs of diabetes or GMD. The prediction accuracy increased when all OGTT variables were added. This indicates that complete OGTT information is important for predicting the future risk of diabetes and GMD accurately. Background: Self-monitoring and self-management, crucial for optimal glucose control in type 1 diabetes, requires many disease-related decisions per day and imposes a substantial disease burden on people with diabetes. Innovative technologies that integrate relevant measurements may offer solutions that support self-management, decrease disease burden, and benefit diabetes control. Objective: The objective of our study was to evaluate a prototype integrated mobile phone diabetes app in people with type 1 diabetes. Methods: In this exploratory study, we developed an app that contained cloud-stored log functions for glucose, carbohydrates (including a library), insulin, planned exercise, and mood, combined with a bolus calculator and communication functions. Adults with diabetes tested the app for 6 weeks. We assessed the feasibility of app use, user experiences, perceived disease burden (through questionnaires), insulin dose and basal to bolus ratio, mean glucose level, hemoglobin A1c, and number of hypoglycemic events. Results: A total of 19 participants completed the study, resulting in 5782 data entries. The most frequently used feature was logging blood glucose, insulin, and carbohydrates. Mean diabetes-related emotional problems (measured with the Problem Areas in Diabetes scale) scores decreased from 14.4 (SD 10.0) to 12.2 (SD 10.3; P=.04), and glucose control improved, with hemoglobin A1c decreasing from 7.9% (mean 62.3, SD 8 mmol/mol) to 7.6% (mean 59.8, SD 7 mmol/mol; P=.047). The incidence of hypoglycemic events did not change. Participants were generally positive about the app, rating it as “refreshing,” and as providing structure by reinforcing insulin-dosing principles. The app revealed substantial knowledge gaps. Logged data enabled additional detailed analyses. Conclusions: An integrated mobile diabetes app has the potential to improve diabetes self-management and provide tailored educational support, which may decrease disease burden and benefit diabetes control. Background: Adults with type 1 diabetes (PWDs) face challenging self-management regimens including monitoring their glucose values multiple times a day to assist with achieving glycemic targets and reduce the risk of long-term diabetes complications. Recent advances in diabetes technology have reportedly improved glycemia, but little is known about how PWDs utilize mobile technology to make positive changes in their diabetes self-management. Objective: This qualitative study explored PWDs’ experiences using “Sugar Sleuth,” a glucose sensor-based mobile app and web-based reporting system integrated with the FreeStyle Libre glucose monitor that provides feedback about glycemic variability. Methods: We used a qualitative descriptive research design and conducted semi-structured interviews with 10 PWDs (baseline A1c 8.0% ± 0.4; 60% male, 52±16 years old, T1D duration 31±14 years, 40% insulin pump) following a 14-week intervention during which they received clinical support and used “Sugar Sleuth” to review glucose data. Audio-recorded interviews were transcribed, coded, and analyzed using thematic analysis and NVivo 11. Results: Four main themes emerged from the data. 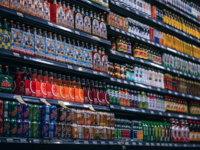 Participants perceived “Sugar Sleuth” as an Empowering Tool that served to inform lifestyle choices and diabetes self-management tasks, promoted pre-emptive self-care actions, and improved discussions with clinicians. They also described “Sugar Sleuth” as providing a Source of Psychosocial Support and offering relief from worry, reducing glycemic uncertainty and supporting positive feelings about everyday life with diabetes. Participants varied in their Approaches to Glycemic Data: 40% described using “Sugar Sleuth” to review data, understand glycemic cause and effect, and plan for future self-care. On the other hand, 60% described focusing only on the feedback from immediate numbers and trend arrows, receiving benefit from this information but feeling reluctant to review past data. Finally, only two participants voiced Concerns about Use of “Sugar Sleuth”; they perceived the app as sometimes too demanding of information or as not attuned to the socio-economic backgrounds of PWDs from diverse populations. Conclusions: Results suggest that “Sugar Sleuth” can be an effective educational tool to enhance both patient-clinician collaboration and diabetes self-management. Findings also highlight the importance of exploring psychosocial and socio-economic factors that may advance the understanding of PWDs’ individual differences when using glycemic technology and may promote the development of customized mobile tools to improve diabetes self-management.